They may have raised it 212 °F, but "the sky hasn't fallen yet." This summer, Chinese and Russian scientists experimentally raised the temperature of part of the atmosphere by 212 degrees Fahrenheit. The recent media coverage of the resulting Earth and Planetary Physics paper raised the alarm about multiple nefarious schemes, like a new geopolitical race to “control the ionosphere” and concerns that the two nations had the power to manipulate weather, natural disasters, and even minds. The conspiracy theories are disquieting, but scientists are nonplussed. The Russian-Chinese experiments were reported as having “extreme effects” on the ionosphere, an upper layer of Earth’s atmosphere so high up that the molecules in it are ionized by cosmic and solar radiation. In the study, the researchers turned up the heat in an area of the ionosphere 49,000 square miles wide with a skyward blast of high-frequency radio waves from the Sura Ionospheric Heating Facility east of Moscow. Meanwhile, China’s Seismo-Electromagnetic Satellite watched for the plasma disturbances it created. These experiments might sound disturbing, University of Reading space and atmospheric physics professor Christopher Scott, Ph.D., admits to Inverse, but in context they’re nothing to be concerned about. Conspiracy theorists, however, have not been convinced of these arguments for the better part of a decade. The antennae array at the Sura site near the small town of Vasilsursk, Russia. For the Russian and Chinese scientists behind the new paper — and arguably scientists everywhere — this logistically difficult experiment was a success. They demonstrated that it’s possible to look at the ionosphere from space using a satellite passing over a heated region. Ionospheric research has gone on for over a century, and scientists have used heaters to tinker and experiment with it since the 1950s. 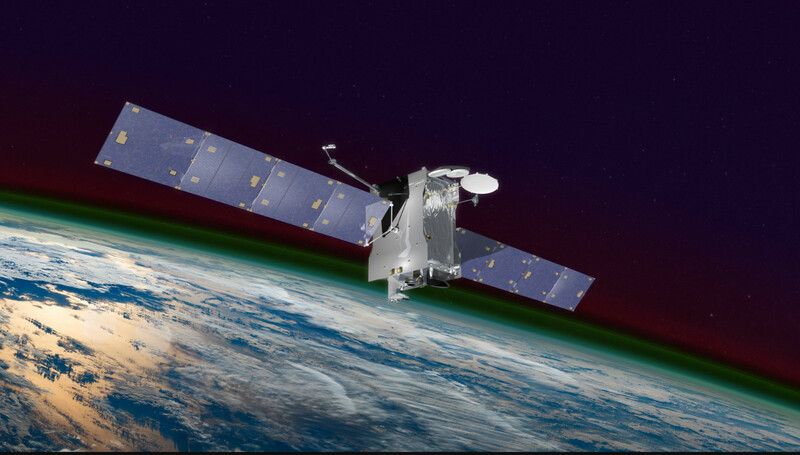 Because the ionosphere reflects and modifies the radio waves used for communication and navigation, studies on it especially benefit militaries and their GPS systems. And because the ionosphere above Russia is not the same as, say, the ionosphere above Alaska, international collaboration is necessary to understand it as a whole. The United States is no bystander in this field: The most high-power, high-frequency transmitter for ionosphere research is the High-frequency Active Auroral Research Program (HAARP) in Alaska, built in 1993 — a favorite target of conspiracy theorists. HAARP, which cost more than $290 million to build, has been an obsession of conspiracy theorists for almost ten years. It’s been blamed for triggering the 2010 earthquake in Haiti, the 2011 tsunami in Japan, and a tornado in Moore, Oklahoma in 2013. Some people claim it can control people’s minds and the weather. It’s no wonder that conspiracists are worried that Russia and China may have a similar tool. That said, it doesn’t mean that the United States military hasn’t expressed interest in HAARP, which was funded by the Air Force, the Navy, and the Defense Advanced Research Projects Agency. Initially, the military was interested in seeing whether it could emit low-frequency communication signals to submarines, but it turned out that it was easier to do that with existing technology. It was also interested in whether it could be used to remove and add particles from the Van Allen radiation belt so it could be used as a defense strategy against nuclear bombs from North Korea. “Turns out it doesn’t seem like you can, but it was a hope in case somebody launched a nuclear weapon and tried to blow it up,” Oppenheim says. “But the question was whether you could use a heater like HAARP and get it to oscillate in just the right way to sort of drain those particles. That was something the military was really worried about because you could destroy a trillion dollars worth of spacecrafts and a lot of our means of communication by doing that.” And so, the military decided to sever its ties to HAARP and hand it back to research scientists. HAARP with Mount Wrangell in the background. Today the University of Alaska continues uses it to study the properties and behavior of the ionosphere. I’d be more concerned about the microwaves that cellphones emit. At Sura, the Russian and Chinese scientists are most likely working together to use their facilities in the same way American scientists use HAARP and the Scandinavians use their heater EISCAT — to simply understand what’s going on in the upper atmosphere. After all, that’s where the International Space Station lives; people on the ISS, which is constantly affected by a hard-to-predict drag, benefit directly from this understanding. So does anyone interested in how natural phenomena like the aurora borealis work, how the ionosphere can disrupt GPS communication, and how space currents flow through it. There’s a lot to be gained by studying the ionosphere, Oppenheim says, and it’s hard to see any “real threat to biological systems” in doing so, despite the concerns of conspiracy theorists.